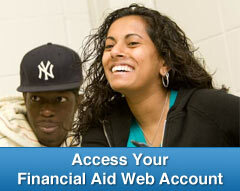 Atlantic Cape offers financial aid in the form of grants, scholarships, loans and work-study programs. A financial aid package may contain all four types. Atlantic Cape also offers aid to Veterans. Only students in a degree program can receive financial aid. Payment of Remaining Aid, (stipends), are issued approximately 10 days after tuition, fees, book charges and insurance charges have been posted to the student's account and financial aid has been credited. Actual dates of disbursement are usually posted on the front page of our website as a News item. For more information, contact our office at (609) 343-5082 or finaid@atlantic.edu. Did You Graduate Top of Your High School Class? If you graduated in the top 15 percent of your New Jersey high school class, you may be eligible for free tuition at Atlantic Cape Community College through NJ STARS. NJ STARS will cover the full cost of tuition for up to five semesters at Atlantic Cape. Learn more. Questions? Visit Where to Call for Help.